And the people came. 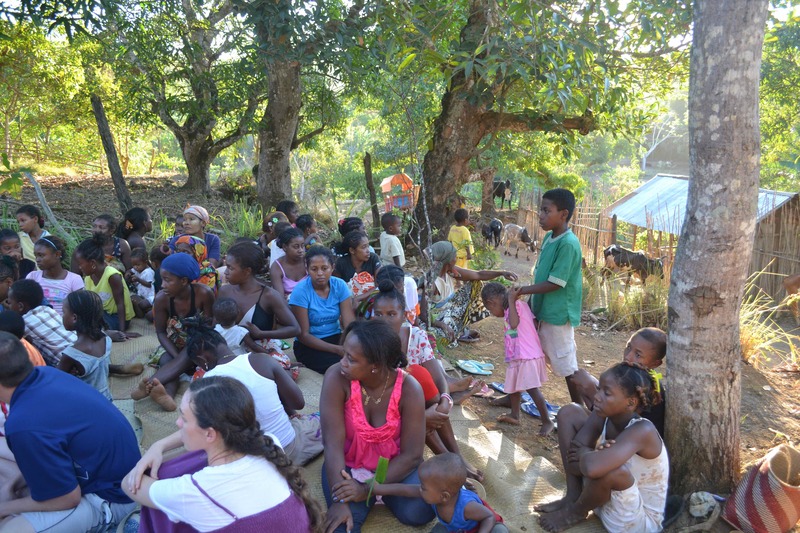 In both villages we had over 100 people attend. 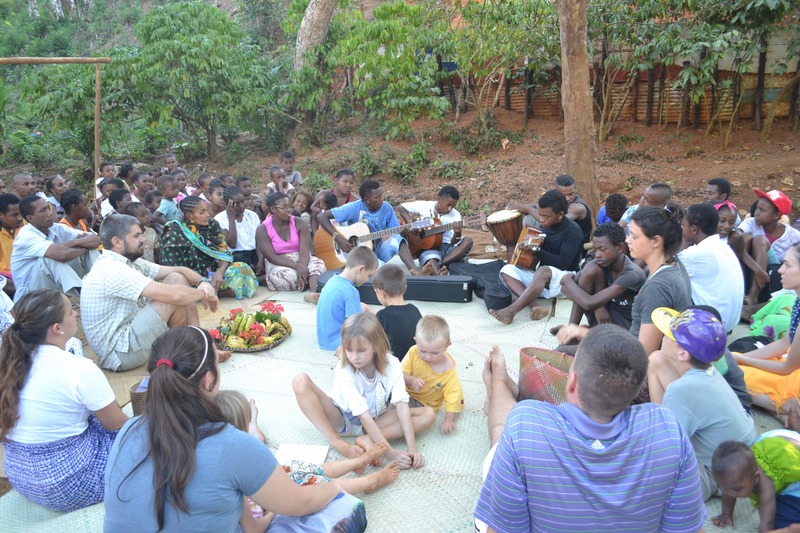 They sang, listened, and participated in a group discussion. “We know that God made everything very good, but that today everything is not good. There is death and sickness and hunger and anger. What caused everything to become bad?’ this is the question that was asked at the beginning of the gathering, and people had a chance to share their opinions on why things were bad. Some said it was a curse, others that it was man’s fault. It was a great time of discussion, proof that people are becoming more comfortable and safe discussing important matters. At the end we asked, “Since we know that indeed the land is cursed, and it is cursed because of our sin, where can we find any hope in the world?” We will attempt to reveal God’s plan to restore hope to us through his Son at our next gathering in December. Please pray as we reach the redemptive climax in God’s story next month. Bryan, you wonderful people are being vessels unto God’s honor, sanctified, meet for the Master’s use, filled with the Treasure that can be shared/poured out to others – you both are going to intersect these people’s loves at a crucial point or points and help to change their direction and destiny forever – WOW! God Bless You! You are being prayed for daily. 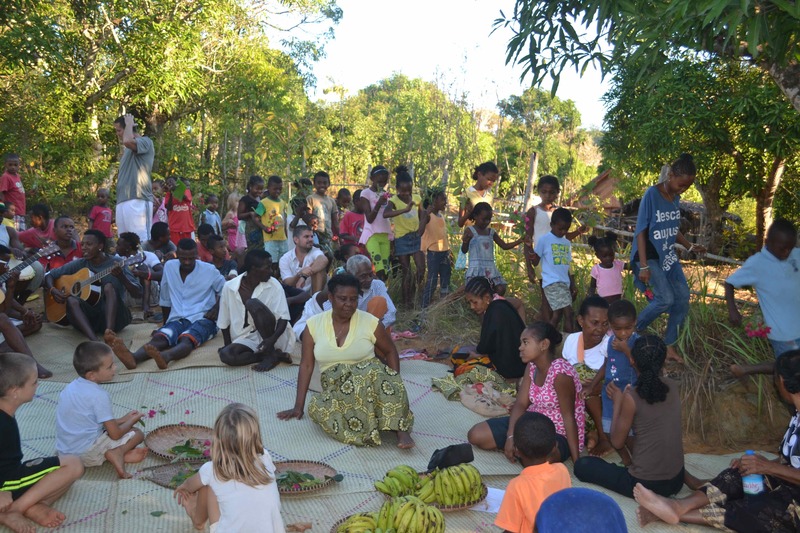 What I love about what you are doing is that the Sakalava people are having time to think about their fallen state before you explain their opportunity for salvation in December. They may not know that their time to think about their fallen state is a time that the Holy Spirit can begin preparing them for an understanding of their need for a savior. Our western culture, so driven by immediate results, leaves little time for reflection within our own hearts and minds, let alone a chance to discuss the questions on their minds. That approach does not very often provide honor to God, who is relational, who wants us to commune with Him, to turn from wrong choices to right choices for the right reasons. When God’s elect choose Christ, they will know why they are choosing Christ. There will be God’s imprint on their heart. I’m excited for you that God has given you a better path to tell the Sakalava people about His plan for their lives. May you be bathed and protected with God’s grace as you experience what God continues to do with both the Sakalava people as well as you and your own family. We pray for you and your family.